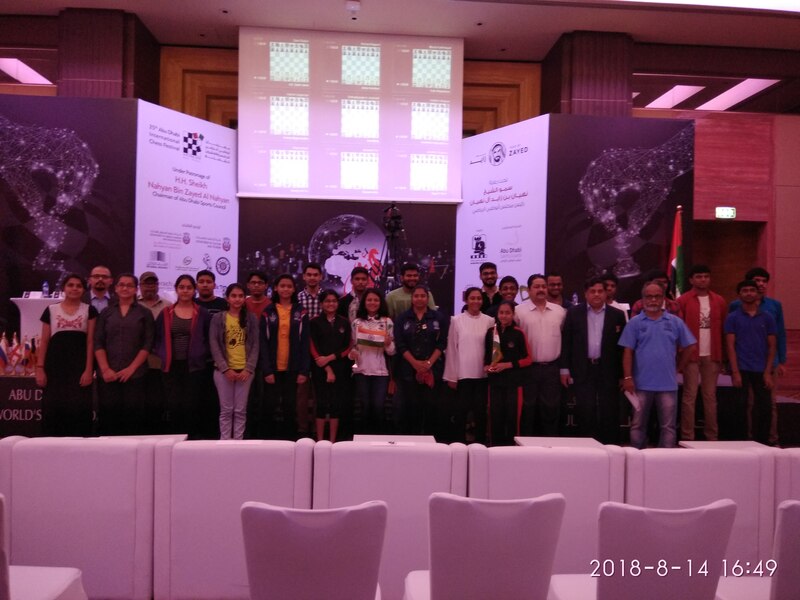 On the eve of India’s 72nd Independence day, Indian players had a good day in the 8th round in ongoing Abu Dhabi Open Chess Championship. The master tournament which consisted of 150 players from 32 countries have finally found one leader in the face of GM Korobov Anton from Ukraine. Grandmasters Aravindh Chidambaram and Debashis Das are among the best scoring Indians. 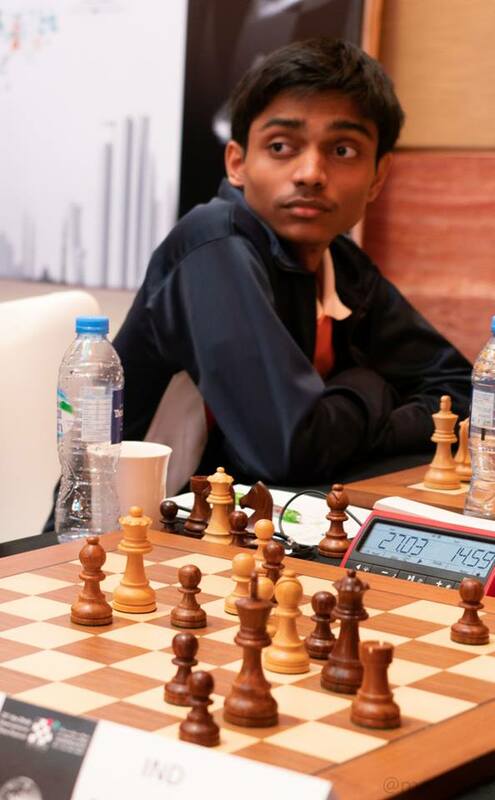 While, 14-year-old Nihal Sarin became India’s 53rd Grandmaster after registering his last and final GM norm. 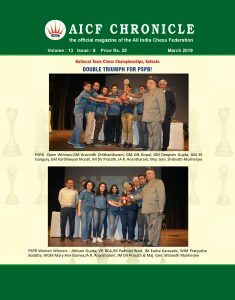 IM Gukesh prevails in Junior section in Abu Dhabi Chess Festival. Gukesh D has triumphed in Junior event by scoring 8 points out of 9 games. At same time he is playing equally well in Master’s section with 4.5 point out of 8 games and rating performance of 2523. He came over Padmini Rout in another clean game in the 8th round in master section. Another consistently improving Indian boy V Pranav achieved 3rd position in Juniors by virtue of good tie break. 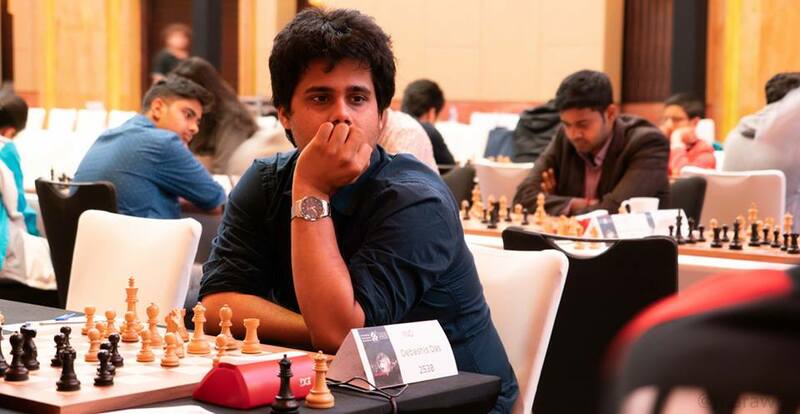 In the open section Soham Datar was leading with perfect score till 6th round but now three players in the second position will decide their fate after today’s last round. GM Korobov playing white faced some irregular opening from Rapport of Hungary popularly known for his creative ideas. Playing simple manoeuvres white suddenly sacrificed a pawn to get initiative on the queen side. Then king side opening with g4 pawn was so powerful that black landed in bad ending to lose in 54 moves. GM Murali Karthikeyan had a dreadful day after playing a great game against GM Cheparinov. Playing on 3rd board, Murali opted for Classical Sicilian from black side. In the theoretical battle black gave a positional piece sacrifice for 3 pawns. The ensuing endgame has better chances for black rather than white but then in the end black blundered to lose after 56 moves. Creditable draw for Aravindh with black pieces against Wang Hao of China. In the trendy Giuoco Piano variation black equalised easily and draw was agreed with in the rook ending. On the 4th board Segissain played a nice positional game to outplay Magsoodloo from Iran. A prodigy from Uzbekistan, Abdusattorov played a powerful game by opting Hedgehog system in Kann Sicillian. After the initial opening with typical play , black suddenly faltered and gave way for initiative for white. Grabbing his opportunity this 13 year boy played his characteristic game to win in 41 moves. GM Debashis Das won in a convincing way going for Stonewall variation in Dutch Defence against highly seeded Andersen from Denmark. The e4 pawn push by opponent allowed to take control in the centre and slowly he grabbed all the pawns on the queenside. The winding up was done with a small , neat combination. Aryan Chopra went down to Le Quang Liem in King’s Indian Defence. 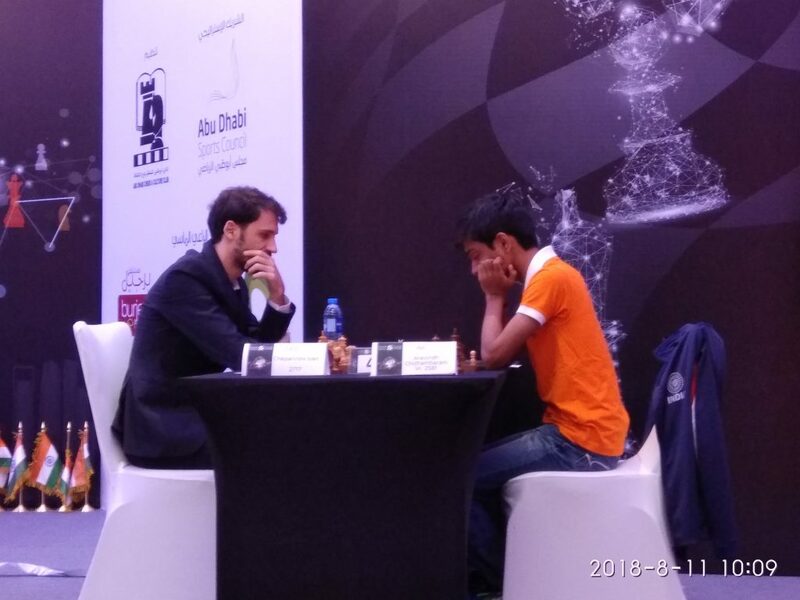 Harsha Bharatakoti won against GM Vocaturo Daniele of Italy. In the English opening white’s position looked like reversed Sicilian type structure after 17th moves. Good manoeuvring and bishop’s play by Harsha gained a full point. 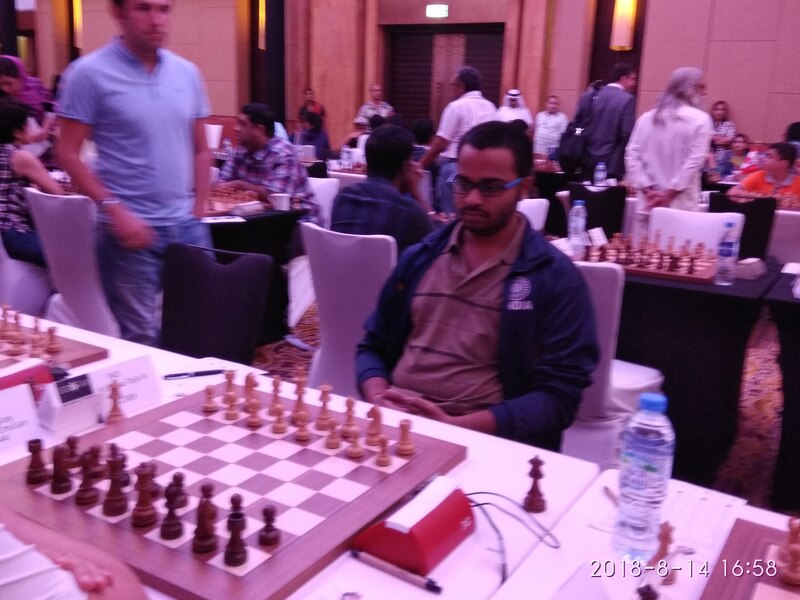 S . Nitin of Indian official Senior team won tactically against GM Abhijit Gupta. Black gave e5 pawn for initiative but Nitin had calculated further and made sure that in the subsequential attack he gets upper hand. Though White did not have pawn to cover his kingside, Abhijit Gupta could not find perpetual checks. In another encounter, Krishan Teja of Indian Junior team won against Parligras of Romania. In the Catalan opening, Krishna’s unusual moves got Parligras confused. The queen and black square bishop dancing was favoured ultimately that white won a pawn and then playing technically well white won on 69th move. The Ministry of Youth Affairs & Sports Affairs is sponsoring the full expenditure of National Youth and Senior championships winners for this exposure trip. 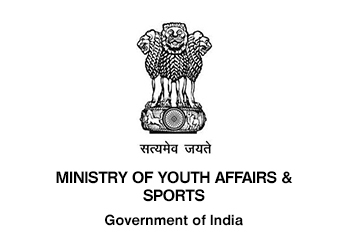 Indian Chess thanks Ministry of Youth Affairs & Sports for their contribution to the growth of chess.